Self-appointed healthcare pundit Jimmy Kimmel is at it again. A couple of nights ago, Kimmel used his late-night show to lambaste Sen. Bill Cassidy of Louisiana, one of the Republican sponsors of the Graham-Cassidy legislation that would repeal and replace parts of the Affordable Care Act. Kimmel claimed that the proposal would roll back patient protections and drive more people into the ranks of the uninsured. While Kimmel's heart is in the right place, he is mistakenly conflating the program's intentions with unattained outcomes. As a parent with children with a chronic illness, I have spent stressful days and very long nights in the pediatric intensive-care unit, and I've felt extremely grateful for having health insurance coverage and access to a high-quality children's hospital. But I also know the frustration of having post-ACA coverage with zero in-network providers within a reasonable driving distance of the city in which we live. While we were eventually able to switch policies and now have local in-network providers, my family is far from unique in facing unintended consequences of the law. While President Barack Obama repeatedly promised that the average family would see premiums drop by an average of $2,500 per year, they have actually doubled. According to ehealth, an online insurance broker, the average family premium is now more than $1,000 per month, and the average deductible topped $8,000 per year. In other words, the average family not receiving significant ACA subsidies and buying insurance on their own could easily spend $20,000 per year before receiving any significant health insurance benefit. And that may go a long way in explaining why the uninsured rate is creeping up for those who don't qualify for significant exchange subsidies. In fact, the Congressional Budget Office estimates predict an overall increase in the number of insured. Back in 2013, the CBO predicted that without the ACA, there would be 186 million people covered by private health insurance in 2016. Today, there are fewer people covered by private insurance—about 177 million—than what the CBO estimated would happen without the ACA. Most of the coverage gains that have been achieved are the result of Medicaid expansion, a program already facing long waits to access care. Today, the patients most in need of help are now in the back of the line behind able-bodied adults as a result of handing out Medicaid cards to millions without any plan or viable strategy for caring for the most vulnerable. Kimmel is right to passionately crusade for healthcare access and affordability, especially for the most vulnerable. But it is time to face reality. According to the U.S. Census Bureau, more than 27 million remain uninsured, and that number will likely climb. Premiums are skyrocketing, insurers have fled the market, provider networks are shrinking, and Medicaid expansion is harming those who need care the most. The program should be measured by its outcomes, not its intentions. The law has fallen woefully short of its promised goals and, for many, is doing the opposite. The Graham-Cassidy proposal is certainly no silver bullet, and in many ways it may not offer much relief to the many shortcomings facing our healthcare system. But we'll never get good policy if we don't understand the underlying problems with the status quo. It is time to return healthcare authority to the states. We need solutions that give individuals control over their healthcare decisions and allow them to select options that best meet their own needs and preferences, rather than "federal government knows best" dictates. 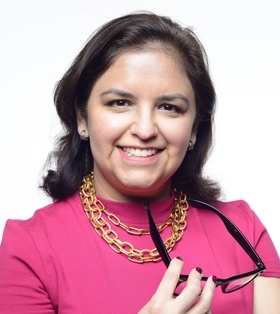 Naomi Lopez Bauman is director of healthcare policy at the Goldwater Institute.